SOUL traveller magazine has been turned in to a TV travel show for SKY TV, and our first episode comes from Thailand. And our second one will be from ibiza. SOUL traveller is a show for the mind body & SOUL, and we delve in to heart and SOUL of a place. We are all SOUL travellers on our own individual journey, and we hope that SOUL traveller will show you that no matter how many religions, cultures and languages may differentiate us, when you look at a person's SOUL, you will realise we are all the same. As they say...we are all ONE! So when I heard Chef Marco was coming to my home town of Birmingham i made sure i got an interview with him. The last time we met was during an interview in Dubai where he tried to teach me how to swallow an oyster instead of chewing one, which is the way i like to eat them. We caught up again at his new restaurant Chophouse, at La Tour hotel, where there was no chewing this time, just plenty of talking. Our second trip with Coco Collection in the Maldives, was Coco Bodu Hithi. I could hear music playing and see bright lights from the restaurant. It already had a very different vibe to Coco Palm Dhuni Kolhu. We were put on a buggy, which I welcomed after 3 days of walking, and were swiftly driven away to our new home. A month ago I jumped for joy when i was invited by Coco Collection to review two of their resorts in the Maldives. I have been blessed with two visits already to the Maldives, but with an average of 200 islands to explore, there is always something new to see. Coco Collection was created by four Maldvian brothers, who wanted to share their Maldivian hospitality with the rest of the world. Our first stop was Coco Palm Dhuni Kolhu. As soon as we landed in to Male, we were taken to the airport lounge, where Coco had their very own just for their guests. As soon as I walked in I felt my holiday (oops I mean working holiday) had begun. It felt more like the waiting room of a spa, and after a long flight a shoulder massage would have been whole heartedly welcomed right about now. 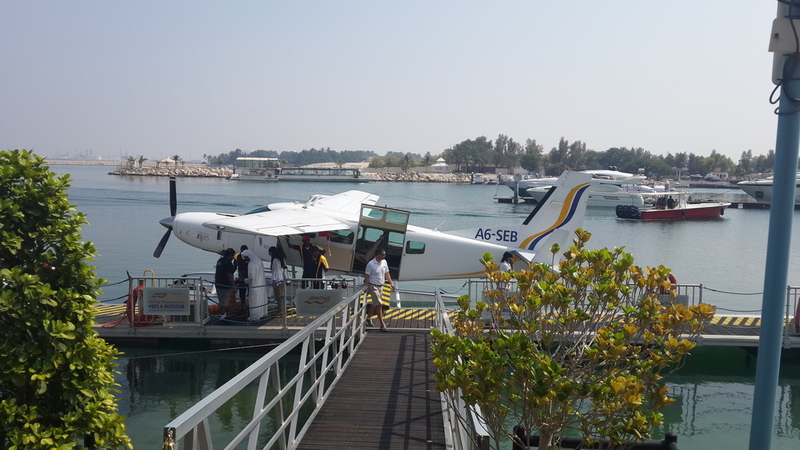 15 mins later, we were escorted to the seaplane. As we took off I looked to my left and there was a gigantic sea turtle popping his head up to say hi. I wasn’t quite sure whether I should have rescued it for being so close to our plane, or just enjoy mother nature welcoming us to the Maldives. Forty minutes later, we arrived at our resort, greeted by the Coco team and the resident manager Nasru. The first thing I wanted to do was jump in to the crystal blue indian ocean. So as soon as we checked in to our beach villa, I ran outside through the coconut tress and jumped straight in. Meanwhile, back in the Madlives, I was soaking in the salt water and the sun. I wanted to press the pause button on my life right then and there. However the island is small enough to walk around very easily, and for 3 days I took full advantage of being in nature. I spent the whole 3 days walking barefoot everywhere. In fact if you do your research, walking on the earth barefoot has many advantages for the body and nervous system, which most of us in the western world have totally forgotten about. It also saves a lot of money on shoes! Talking of shoes, just bring your flip flops when visiting the Maldives, trust me that’s all you will need. The resort has 2 bars, and two main dining areas. The Cowrie Restaurant, is a huge dining room, with a Maldivian tent-like roof that serves breakfast, lunch and dinner, and features live cooking stations. Whilst Cornus, offers speciality dishes including Maldivian, Thai, Indian and other Asian delicacies. The good thing about having just 2 restaurants was that the staff got to know you very quickly, and by the second day all the staff knew our names, were asking how we were, they even knew that we had changed our rooms around too. As some of the rooms weren’t equipped with wifi, it was in many ways a blessing to just have a break from constantly being online, and instead, we gave our full attention to the beauty around us. Even though it has 98 villas, Coco Palm has a homely rustic charm to it, that feels more like a secret island hideaway than a large resort. It offers the usual water sports, fishing trips and expeditions, however one of the best trips we took was to the local island of Thulhaadhoo. It’s only a 30 min boat ride away and as soon as we arrived we were greeted by one of the elderly residents who took us to a local house for tea. But we got lucky, because once the kids saw us arrive they all came in to the house and started singing for us. These local tours open your eyes to the two sides of the Maldives. One is what most of see online, the beautiful crystal waters and luxury honeymoon resorts. Whereas the other side shows where, and how the locals live. And the contrast is blatant. Overall my memories of Coco Palm Dhuni Kolhu are that of a raw rustic hidden gem, that has no need for glitz and glam. Its humble, honest and warm. It’s kind of like that USA TV show Cheers, where everyone knows your name! Coco Collection has a portfolio of stunning resorts in the Maldives, and one of their main goals is preserving the environment and marine life in the region. So, whilst staying at the Coco Palm Bodu Hithi, I took one of their daily snorkeling trips with their resident Marine Biologist, Lisa Bauer. Once meeting Lisa, I decided to rename her Lara Croft instead. Why you may ask, well picture this: Whilst I had flippers and a big red life jacket on, Lisa was all kitted out in black tight lycra with a knife strapped to her thigh. At first, I thought maybe it was to protect me from any sharks, however I came to find out she uses it to rescue sea turtles that are stuck in fishing nets. So, as she dived in to the middle of the Indian ocean in 2 seconds, I plodded down the steps of the boat like a clown, with my flippers firmly on. Once I was in, we both swam deep in to the ocean in search of sea turtles. So far Lisa has identified 184 different sea turtles around the resort, and they all have names too. She can tell who they are simply from their face markings. And get this, if you spot a new one that has yet to be identified, not only can you name it, but you will also get an adoption certificate that will keep you up to date on how the turtle is doing. And as they live to an average age of 50-80 years old, you will be receiving a lifetime of updates from your newly adopted sea pet. Within 3 minutes we spotted our first turtle that goes by the name of Senge who is a juvenile Hawksbill turtle that was first spotted in 2004. Next we met the king of the sea turtles, Monty. Apparently he is the only male adult turtle in the resort area, so you can only imagine what fun he must have with all the ladies. He probably has his own underwater harem, and what better place to have one than in the romantic Maldives. Monty has been spotted 65 times since 2013. However the most sociable one is Chloe, who has turned up 122 times for snorkelers since 2013. As well as the sea turtles, you can also spot all kinds of marine life from fish to sharks. But don’t panic, those sharks are harmless, and with Lara Croft by your side, you have nothing to worry about. Yes, I have been to heaven and decided to come back to tell my story. In fact I didn’t just go, I actually flew through heaven…on a zip line that is. Zip lines in heaven you ask? Ok, ok, so I didn’t actually DIE, but I did visit a piece of heaven on planet earth, also know as the Seychelles. What can I say, never did I think I would visit this beautiful place, but the stars were all aligned and the universe said ‘Punam, pack your bags we’re going to paradise’. Now I’m not one to argue with the universe, unless it’s leading me in to a dark alleyway all alone . So I took a 4 and half hour flight from Dubai to the Seychelles and there she was, all green, lush, blue crystal clear water and a tropical breeze greeting my hair as I walked out the airport. My first stop wasmy home for the week, the Constance Ephélia, on the capital island of Mahe. The hotel is situated on two of the most beautiful beaches overlooking the marine national park of Port Launay, and sits on a spectacular location of 120 hectares of the greenest trees I have ever seen. Now getting back to me flying through heaven. Most hotels have the usual swimming pools, tennis courts, golf courses etc. But Constance Ephelia, with the help of SMAC adventures, decidced to walk all over those average leisure facilities and went one up, or should I say 120 metres up! The hotel has it’s very own zip line. Or should I say 8 zip liners that take you from 85 metres to 120 metres over and through the lush forest of the hotel. Now come on people, how many hotels do you know not only have their own forest, but a zip line running through it too. Seriously, you can keep your fancy swimming pools and high tech gyms, I will pick flying through heaven everytime. Universe…where we flying to next? Not only can you, and WILL want to fall in love there, you will also want to get married there, and then make babies the next day too. That’s the power of Amalfi. Stop at every other hotel you see that is built within the coastal mountain and just eat! Eat home made pasta, calamari, mussels, fish, and then more pasta. Just eat. Afterwards, you can pray and love. Just like the regions very own Sophia Loren, there are very few natural beauties left in the world, especially on social network. So please don’t mess with my beautiful Amalfi. Keep your filters off and no selfies please! As a Journalist I have interviewed a variety of celebrities in many beautiful locations around Dubai. But one rather unusual spot was underwater with Kim Kardashian, however no swim suit or diving gear was required. The Atlantis hotel sits on the man made island of the Palm Jumeirah, and my interview with Kim was to take place in their underwater suite. They have two at the hotel known as the Poseidon and Neptune suite. The bedroom and bathroom both look out to the Ambassador Lagoon aquarium, where you can watch 65,000 marine animals swim by. The way I see it, if you have ever wanted to know what life was like during the days of the lost city of Atlantis (and yes I do believe it existed) then this is probably the closest version you will get. So, to get to the bedroom I had to walk through the main entrance, down some long winding stairs, through the magnificent lounge and dining area, and then get in to a vey small lift which opened in to the underwater room. And there was Kim Kardashian patiently waiting for me. As I asked her during the interview what she was exactly famous for (come on someone had to), behind her were thousands of little fish enjoying their afternoon swim and offering me a great visual backdrop. So here’s my take on the underwater bedroom. Would I be able to sleep here for one night? For the experience yes. Would I pay on average £5,500 for the suite per night? If I was Kim Kardashian, yes. Would I enjoy the butler who I can beckon to my every whim 24 hours a day, of course! Would I want to sleep here for a week? Probably not, because after a while I did start feeling slightly claustrophobic, I was craving natural daylight. Did i start feeling like I was in a submarine? Yes. And lastly and most importantly, with all that water as my only view, I would most definitely end up going to the bathroom at least 3 times during the night. Thank goodness the bathroom is next door. Oh wait! The bathroom also looks out to the lagoon. So, I suppose the most sensible piece of advice I can give you when staying in the underwater suite, is that it’s probably best you don’t have a drink of water before you go to sleep. But all in all, it was a unique location to interview a celebrity in. Sweet dreams, and don’t wet the bed! If you are looking for an incredible rooftop with a view of the city and the Hudson river, I found it! The Press Lounge at 653 11th avenue. The lounge is located on the 16th floor and is the best spot to watch the sun set over New York. Highly recommend this place at any time of the day. So its been almost 15 years since i last visited New York, and I have to say, it's still one busy manic city. For those who like that kind of buzz, its the place to be. As for me I more I'm more in to laid back cities, so its a good job our hotel was just 5 minutes walk from Central Park. That was my little sanctuary when i needed a break from all the noise. But i did find another piece of greenery in New York, known as Bibble and Sip. Bibble means to eat indulgently and sip implies cultured enjoyment. And trust me, i definitely indulged whilst there. They serve matcha Green puffs and early grey too. WOW...theses puffs are so tasty. And to go with it you can also try their matcha jasmine latte. Just looking at the photo now is making me crave it all over again. They are located on 253 W & 51 St. ENJOY! Yesterday the world became very quiet. The planet lost a man who meant the world to so many, and a man who shaped my career and drive for creativity. Prince was sent here to show us how to break any mould and go beyond the limits of what society, and our own minds place on us. Very few people grace this world with that kind of presence, and I was truly lucky to have witnessed such a genius in my lifetime. Like many I am heartbroken and have no ambition to get over this loss. It will remain always, simply because thats how deep his words and music dived in to our hearts. It may be quiet down here, but I know heaven is having one funky party right now. Miss you Prince. So one day a Scientist goes to Sri Lanka, has a few Ayurvedic treatments and her life then turns around in a completely new direction. Julie Dent returned from Sri Lanka and decided to turn a 3 storey mill in the middle of the Worcestershire countryside in to a holistic retreat. After 2 years of building and re-designing, her dream came true. The clover Mill is a beautiful Ayurvedic retreat, where you can experience healing massages, daily yoga classes and beautiful home made organic meals that Julie makes herself fresh from the garden. You will truly get spoiled by her hospitality. Julie is truly living her dream as she wakes up everyday smiling from ear to ear, so content within her beautiful countryside retreat, welcoming guests from all over the world including the odd celebrity. You will also meet Millie her dog, who guides all the guests to wherever they would like to go when walking around the estate. She also has three alpacas, and a few chickens for fresh daily eggs. There is no wifi in the eco friendly lodges, as this retreat is all about going back to nature and finding harmony and balance within. Check out my video review of my stay at The Clover Mill. Ever wanted to fly in a plane that lands on sea...well now you can. 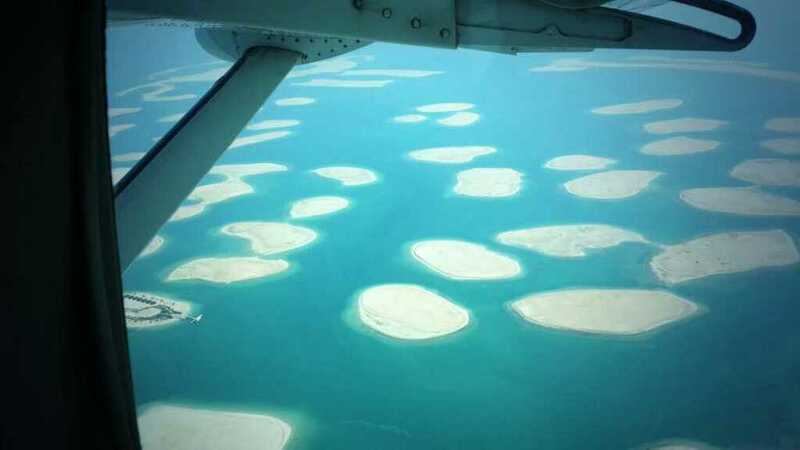 Not only does Seawings Dubai land, but it also takes off from the sea, and don't worry it's always a smooth landing. Personally it is one of the best ways to see the architectural delights of Dubai, such as the Burj Al Arab and the Burj Khalifa, as well as fly over the islands such as The Palm Jumeirah. You can even avoid the traffic and fly from Dubai to Abu Dhabi or to Ras Al Khaimah on the plane, which is exactly what me and the crew did for our trip to RAK. It was christmas time, so where better to soak in the christmas markets than in Germany. This trip took me to the Dusseldorf, where I stayed in the elegant Briedenbacher Hof Hotel, which has a history that dates back 200 years. It's situated perfectly on the doorstep of the most famous shopping street, the Konigsallee, where you will find all your designer friends from Tiffany & Co to Prada. The hotel itself is steeped in old fashioned charm, with a fine dining restaurant called Brasserie 1806, a spa, pool and gym, and it also has its very own lounge just for guests where you can relax, have a coffee, have a meeting, or just put your feet up and rest after a long day of shopping. Service is everything at this hotel, so whatever you need, just head to the lounge, because that's where you will find a personal assistant on call everyday. Dusseldorf itself is an easy to get a round city, and Breidenbacher Hof is just a few minutes walk to the the old town, and the River Rhine. Check out my video above on The Breidenbcaher Hof Hotel. What can I say about the Seychelles, except WOW! It really is everything you would imagine and have seen in the photos. It boasts some of the most photographed beaches in the world, and is a rich mix of culture, community, nature, food and fun. Our first stop was Mahe Island where we stayed at the Constance Ophelia hotel. It's spread over a vast amount of natural beauty with it's own private beach, helicopter landing pad on a hill top, as well as home to Dusty and his friends, who is the oldest giant tortoise at 108 years old. My favorite part of the hotel was that it has it's own zip line that runs through the forest. Mahe is easy to get around and there are many cultural sites to visit on the island as well as shopping areas such as the old Victoria Market for some fresh local food. Our next stop was the island of Pralin, where we stayed at the luxurious and breathtaking Raffles hotel. Each villa has its own private pool that overlooks the ocean. Whist in the Seychelles we also took part in the annual creole festival and visited the slow paced island of La Digue, where time really does stand still. The Seychelles is a place where you can relax and have fun at night, but most of all for me, it is steeped in natural beauty, and there is nothing better for the health than to be surrounded by untouched nature. For me the XVA hotel and gallery is a little haven in the middle of the hustle and bustle of old Dubai. It's located in the Al Fahidi neighbourhood, right next to the Dubai museum. There are 13 uniquely designed rooms, which are also used by artists in residence. Unlike the glitzy towering 5 star hotels of Dubai, XVA has a charm of its own. There is no fancy spa or pool, but it does reside above the beautiful XVA gallery, and overlooks the courtyard cafe. You can also walk around the neighborhood and down the narrow old alleyways of how Dubai used to be. It's a peaceful reminder of how we need to sometimes slow down amongst the noise and rush of modern day living. And in a city like Dubai, we all need a little secret place to get away from it all. Click on the video above to see my review on the XVA hotel. So to kick start 2016 I got together with INJOY GIVING and created a daily practice of inspirational exercises. I called it the JAN JAR (aka January Jar), and for each day of the month there is a simple exercise for you to do which will feed your soul through mindfulness, gratitude and fun. The price of the gift is priceless. This means that YOU decide the price you want to pay and proceeds go towards charity. It's a gift that you can give to yourself and to others. I hope you not only enjoy the exercises everyday, but it also gives your soul some happiness. In a previous blog i featured the yoga retreat Desa Seni in Bali. In this video you can see a few more adventures and sights during my trip to beautiful Bali. So we are going to Hong Kong to film the NY parade. Oh ok! So that was my not so excited reply when I found out we were going to be shooting our TV show in Hong Kong. Why? Well in my pre-conceived mind I assumed HK was a city of noise, traffic and business meetings. And yes that is partly true however, but it had so many more surprises waiting for me. Who knew that HK had 263 Islands…I know i didn't. Someone described HK to me as Manhattan next to Hawaii. You have the city lights and buzz of the city, right next to the tranquil chilled out islands looking out to the South China sea. Seriously, this is one impressive place. 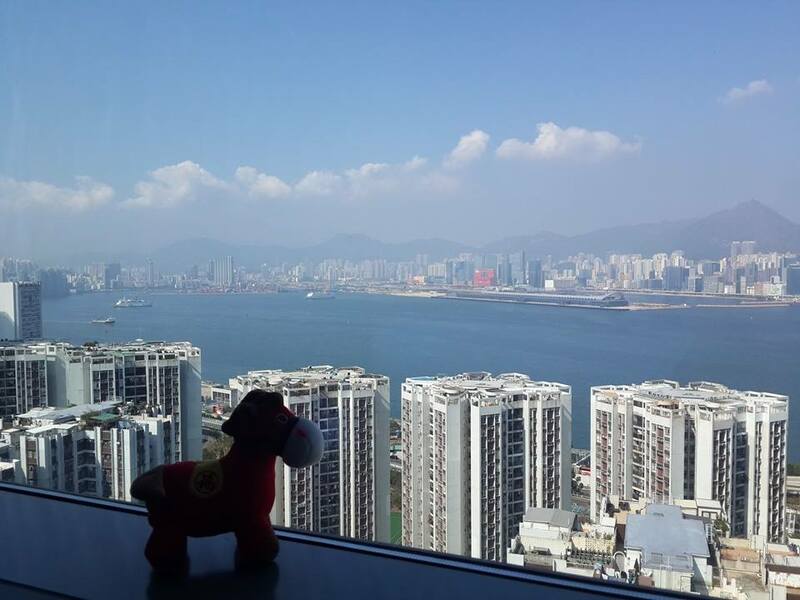 HK has markets, food, culture, beaches, hiking trails, history, nightlife, art. It's an electric mix of the old and new. So where do I recommend going: Well when it comes to food OMG you are spoilt for choice. But there is one place that truly stood out for me and that was M&C Duck at Harbour City. The food is chinese yet with a minimalistic twist. Every bite was a delight to my taste buds. As for fun why not check out Ocean Park where I was lucky to feed the local pandas there. We then rode up the cable car across the beautiful ocean (be careful if you are scared of heights). It's a place for all the family where you will find rides, animals and entertainment to keep you busy. When it comes to markets, HK is full of shopping options. But for me I really liked the laid back Stanley Market on HK Island next to the sea. Shopping is done at a more relaxed pace. 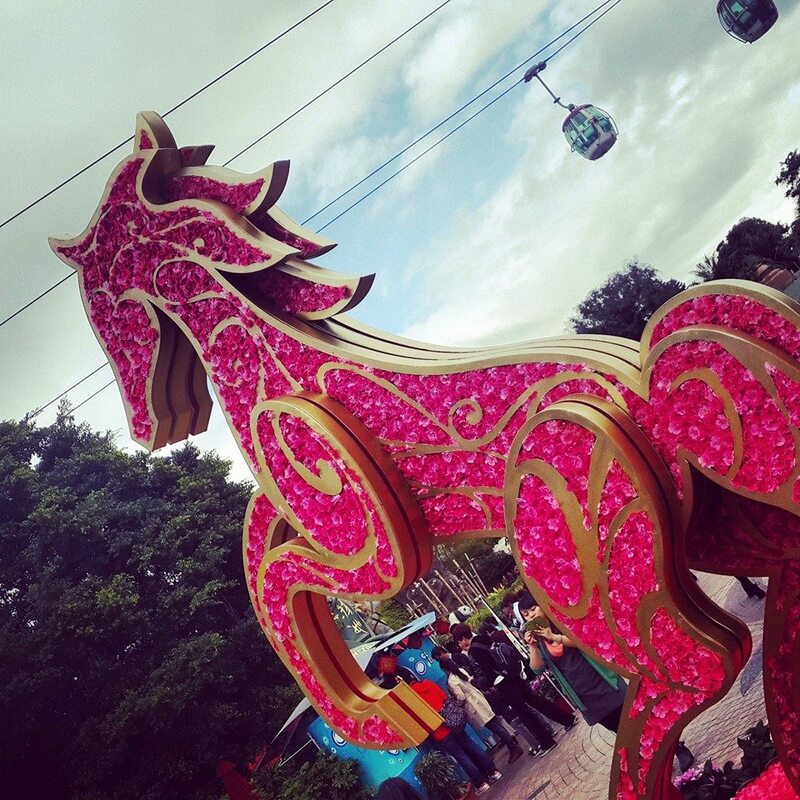 We were there filming the chinese NY, which happened to be the year of the horse. It was an experience that included parades, magnificent fireworks, and visits to the temple where people start of their NY with blessings. A great way to truly start a NY in my opinion. One of my favourite things was making a wish for the NY, then tying it on to a piece of paper attached to an orange and throwing it high up in the air hoping it will land on a on a tree. It's known as the wishing tree, and for your wish to come true the orange must land on the tree. Mine did fortunately…as for the wish? I'm still waiting! And saving the best for last, Hong kong isn't over until you meet the Big Buddha face to face. To get to him all you need to do is take a 25 minute cable ride over the mountainous terrain of Lantau Island, and then walk up 286 steps. Trust me, he's worth the effort. I had no expectations of HK and thank goodness too because it completely blew me away. Would i go back? Absolutely. And by the way our flight there with Cathay Pacific was amazing! My first trip with them. I will be back! In 2015, Emirates Airlines started direct flights to Bali, and as i have never been there i decided to hop on a flight from Dubai, and 9 hours later i had arrived. It's an Island that truly lives within nature. Healing, health, yoga, mediation and surfing is a big part of this Islands appeal. The film EAT PRAY LOVE brought a lot of attention to Bali especially Ubud. However I spent most of my time in a very relaxed place called Canggu, on the west side of the island. And lucky for me one of the most beautiful yoga retreats was just around the corner from my villa. Desa Seni is an eco village and yoga retreat, where residents can stay, swim, dine, practice yoga and treat themselves to the spa. But it's not just for residents. Local visitors can pop in 7 days a week for various classes of mediation and yoga, which takes place in a garden pavilion set amongst the trees. As soon as i entered the retreat for my daily yoga class i felt a sense of calm and tranquility, so much so that during one of their classes known as yin yoga i actually cried. It's a yoga practice that releases a lot of emotions from within. I highly recommend it. Check out the video I made whilst at Desa Seni.